Large padded shoulder straps and back panel are designed for fatigue-free work even under long-term use. Besides, the straps feature multiple adjustments for added comfort and perfect fit. Rather high fuel consumption rate. This model from a renowned brand is a truly powerful machine. 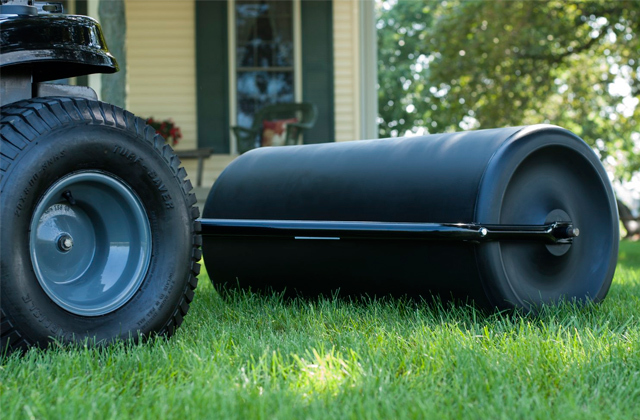 A super powerful engine delivers commercial-duty performance to easily tackle heaps of leaves scattered in your yard and generates a consistent air flow almost right after the blower start up. Enjoy the power and quality of Makita tools. 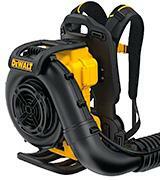 20" x 17.8" x 13.1"
DEWALT boasts an eco-friendly and quiet engine, safe for you and for the environment. Since the tool has two batteries, it's a bit heavier than its competitors. 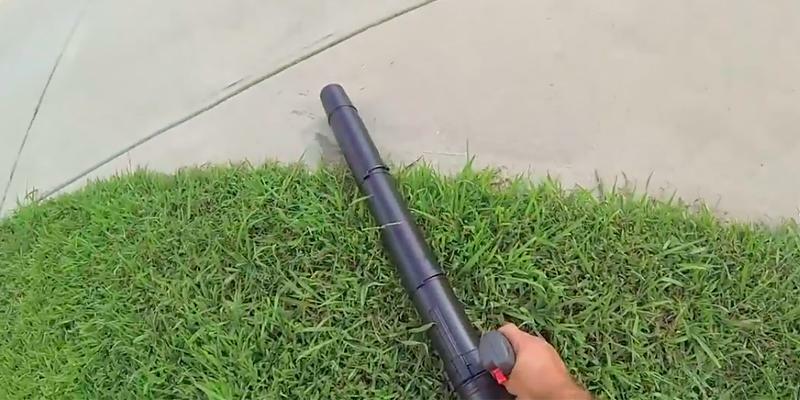 You'll definitely enjoy how this blower works.Replace the battery and go on cleaning the area around your house! 22" x 19.6" x 22.6"
LowVib® dampers considerably reduce vibrations during the operation, making the tool rather convenient. 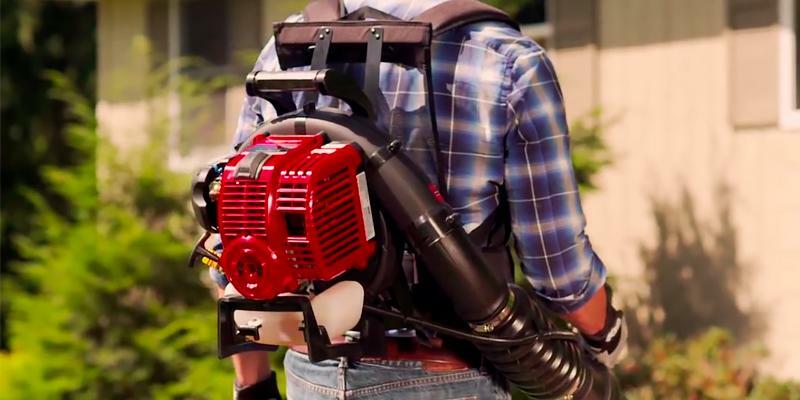 This backpack blower is the noisiest on the shortlist. 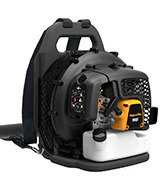 Choose Husqvarna backpack blower if you wish to tidy up your yard and lawns as well as save money since this tool is fairly fuel efficient. Forget about pulling an ignition cord as this Troy-Bilt blower requires a single push of a button and its engine starts immediately. The fuel tank might seem rather small. 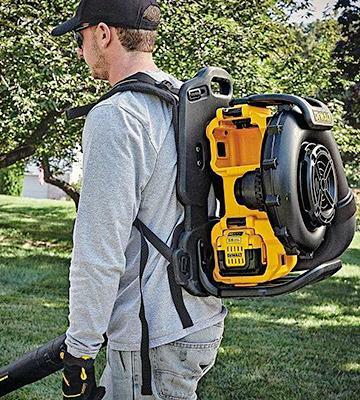 The Troy-Bilt TB4BP backpack blower will be your reliable assistant while cleaning your yard and the unit is incredibly comfortable to carry due to its small weight. 16" x 19.4" x 21.3"
The Cruise control feature makes the operation of the device much easier: your hands will get tired much less even with a prolonged use. The 2-stroke engine requires a strict observance of fuel and oil mixing proportions when refueling the tank. "Compact, lightweight and high-performance" - this is how you can describe this model by Poulan Pro. 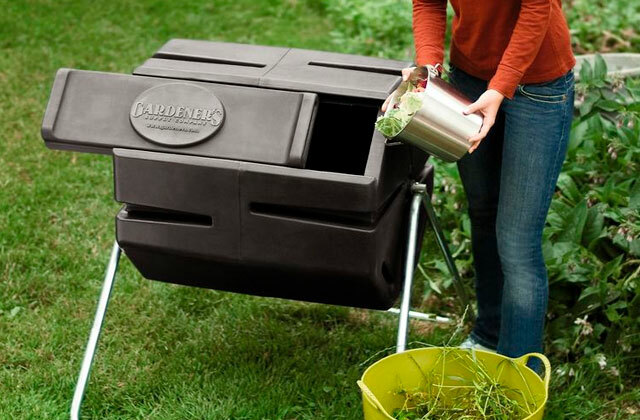 Using it you will quickly cope with tasks of cleaning leaves and small debris off the area putting the least effort. All happy owners of homesteads and private houses surrounded by large beautiful yards with green lawns, trimmed hedges, shaped bushes and trees know firsthand how much time and effort it takes to sweep away all the fallen leaves that cover the ground in autumn to say nothing of twigs, cut grass, and other debris. A broom and a garden rake are useless in this case and even many leaf blowers would fail. 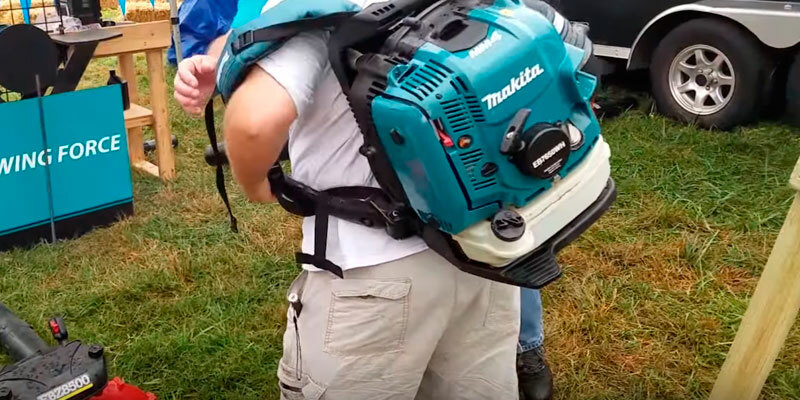 Yet, it is not about the Makita EB7650WH backpack blower. If you need a super powerful garden tool to take the strain off out of yard cleaning, look no further. This model is powered by a 76.5 cc heavy-duty 3.8 HP 4-stroke engine that delivers truly unmatched performance generating the maximum airspeed of 200 MPH and airflow of 670 CFM to blow away not only leaves but also different kinds of heavier debris. 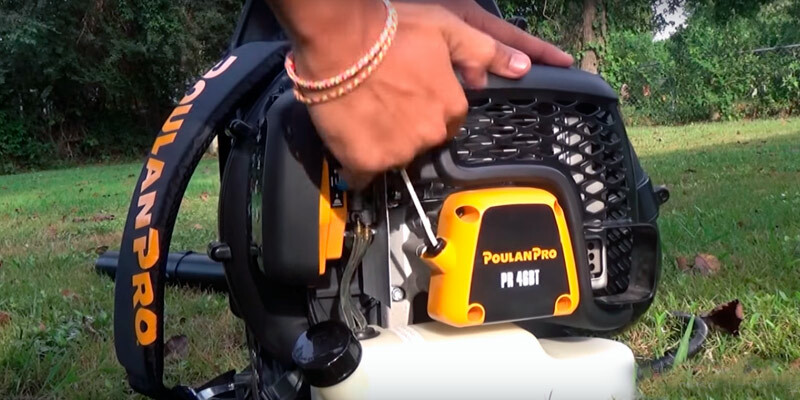 The fuel tank volume is one of the biggest in this class of garden power tools and will ensure long-lasting operation allowing you to clean big areas. Unlike other gas engines, the Makita’s engine features an automatic decompression system for easy starts, has a built-in muffler for really low-noise operation and boasts cleaner-burning operation with a minimum level of emission. The Makita EB7650WH is a perfect tool both for a professional landscaper and for a residential gardener and will come in handy for cleaning a commercial lawn as well as for average garden work. 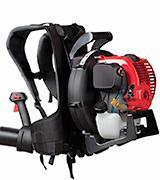 Most gas-powered backpack blowers tend to be rather heavy due to a built-in fuel tank. This model from Makita is also pretty heavy and weighs 24.1 lbs. However, the manufacturer designed it with a user convenience in mind and fitted it with a number of features to provide total comfort and reduce fatigue during operation. See for yourself. Adjustable cushioned straps and a padded back panel minimise the load on your body and evenly distribute the blower's weight over your back. Special inserts between the engine and the frame considerably reduce the level of vibration for added operator comfort while the back panel is ventilated allowing you to work for hours without sweating. A convenient tool-less handle adjustment allows quick positioning of the handle to the desired length. Thanks to a hip throttle with a handy on/off switch and a cruise control lever to keep the unit speed without pushing, the tool is easy and convenient to handle. A large ergonomic grip on the frame will let you carry and transport the tool with ease. 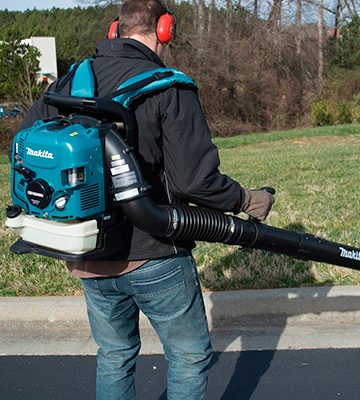 The Makita backpack blower is a great example of a tool where power and high performance go hand in hand with convenience in no way compromising the user comfort. When it comes to Makita, it is always about quality design, power, and smart solutions. Being a leading manufacturer of various power tools and garden power equipment, the company always strives for innovations and has already made a number of inventions that were successfully realized in Makita products. 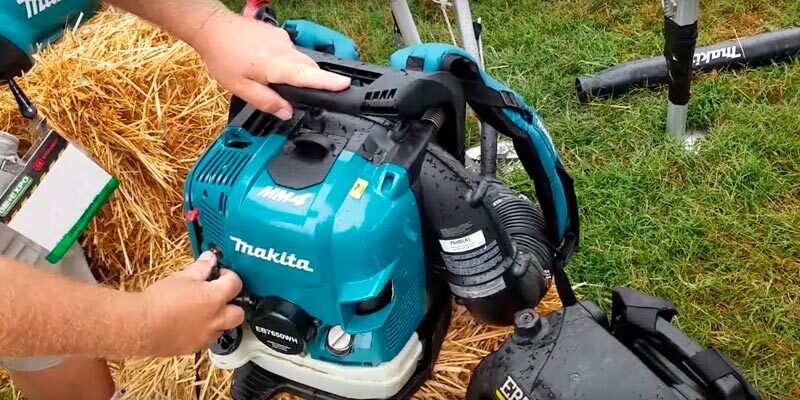 One of such inventions is the Makita MM4® 4-stroke engine (the Makita EB7650WH comes packed with) that has several significant advantages over conventional 2-stroke engines. The biggest benefit is that a 4-stroke engine requires no fuel and oil mixing eliminating the need for a separate mixing can. It greatly simplifies the operation since no engine pistons will seize due to improper mixing. Besides, the Makita 4-stroke engine boasts reduced CO exhaust, much lower noise level and offer faster and easier engine starts. All of this increases the engine efficiency and ensures exceptional tool performance. 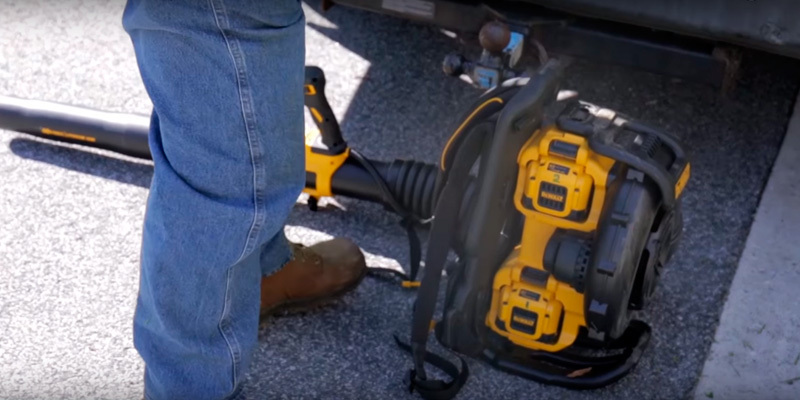 Let's have a closer look at the DEWALT backpack blower. It has a brushless 40V electric engine. 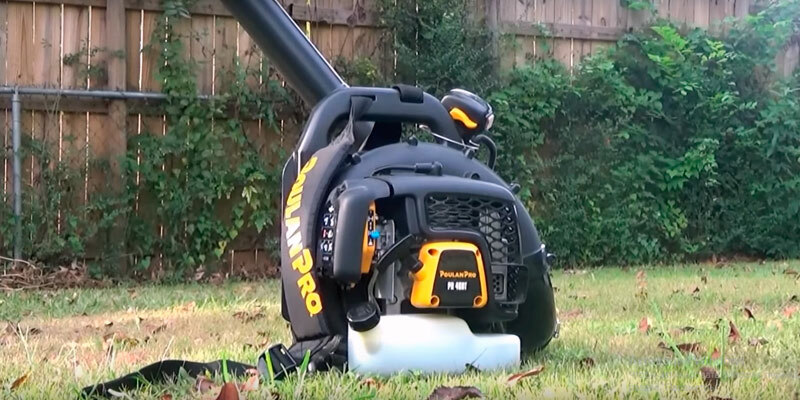 Sometimes, battery-powered leaf blowers are beaten in terms of power by gas-powered models but this DEWALT is surely on the verge of modern technologies and it shows excellent efficiency. The CFM rate it delivers is 450 CFM and the speed of the air flow amounts to 142 MPH, so the motor can move all kinds of debris. 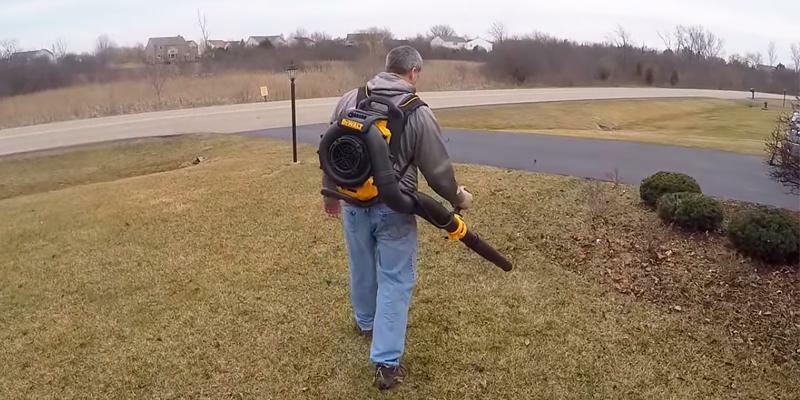 Thus, this electric backpack blower can be a strong rival against gas-powered models. But, in our opinion, another feature is even more important. The electric engine is eco-friendly and very quiet. Also, it boasts a low level of vibrations and doesn't produce much noise. Using the unit is absolutely harmless for the environment. Yet we still recommend you to purchase protective earmuffs and glasses. What About Two Batteries in One Tool? 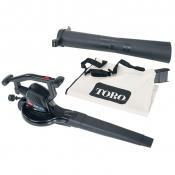 You'll definitely enjoy all the benefits this electric backpack blower has got to offer! The handle is very comfortable and there are several buttons on it. Thus, you can start and stop the engine, adjust the speed, etc. The start button is worth a few more words. Older mechanical models never start easily but this model has an electronic system which guarantees an easy and quick start of the tool. The battery gives an operator around 30-40 minutes of continuous operation, which is enough for moving the main debris. There is also good news for you! This model has a place for an additional battery. So, in case the first battery runs out of charge, you can switch to another one and keep on cleaning the territory by pressing the same start button. In conclusion, you'll enjoy the quiet and efficient operation of the tool, which has also a 3-year warranty. Moreover, having two batteries instead of one, your blower becomes even more autonomous, so you'll have more time for clearing up. 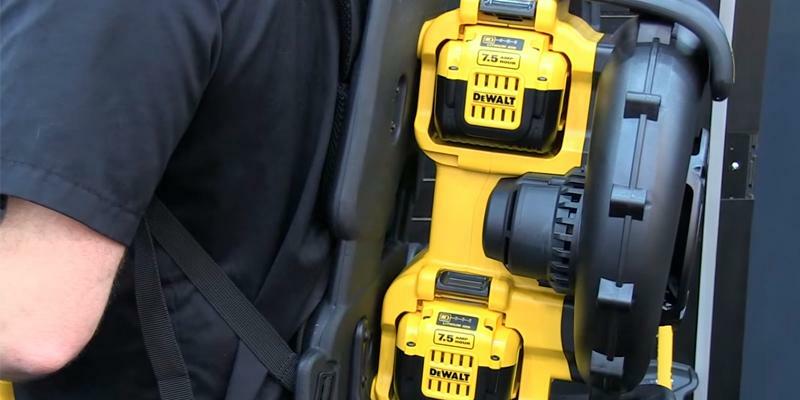 We recommend you to get an additional DeWALT 40V Max 7.5 Ah Battery which can double the runtime of your blower. 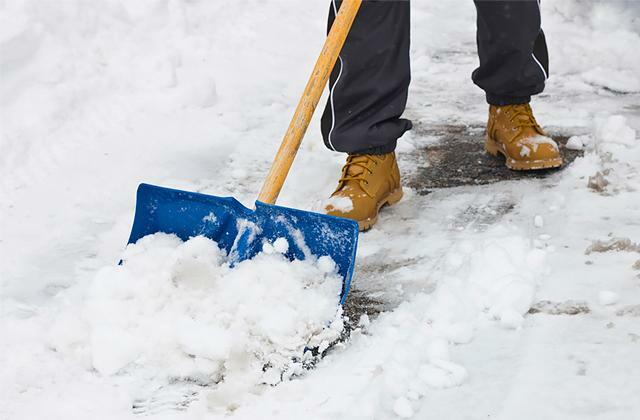 Don't forget to use an earmuff hearing protector that will defend you from noise produced by the blower. Consider a 3M Eyeglass Protector since it is very important to protect your eyes from different particles in the air. 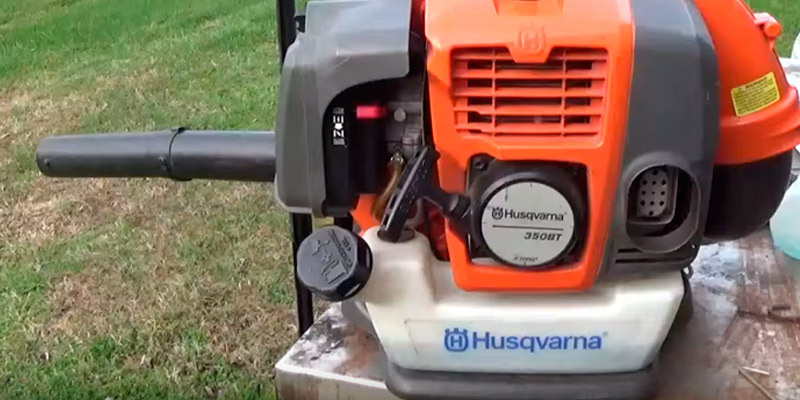 So, the next model in our review is the Husqvarna 350 BT gas-powered backpack blower. What unique features does it have? 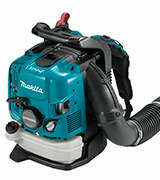 We must say, that having very similar specification compared to Makita BBX7600N, its price is much lower. That is due to its 2-stroke 2.1 HP engine which provides the air flow of 494 CFM at the speed of 180 MPH. The engine is Husqvarna's own development; it belongs to one of the company's new series of engines - the X-Torq. Its unique design reduces exhaust emissions by 60% and enhances engine efficiency by 20%. Thus, you save up on fuel and protect the environment. Finally, this backpack blower has a useful button which removes the air from the fuel-oil system and carburetor, making engine start very simple and fast. This model is worth purchasing! Analyzing technical specifications of this backpack blower, we have noticed a variety of important features that make the tool very convenient in use. First of all, we'd like to highlight its padded straps and soft back panel which provide maximum comfort for your back and shoulders. The handle is adjustable, so you can grip it comfortably and firmly. The handle has a speed control button, cruise control button (which allows fixing the speed level), and stop button. LowVib® dampers considerably reduce vibrations. 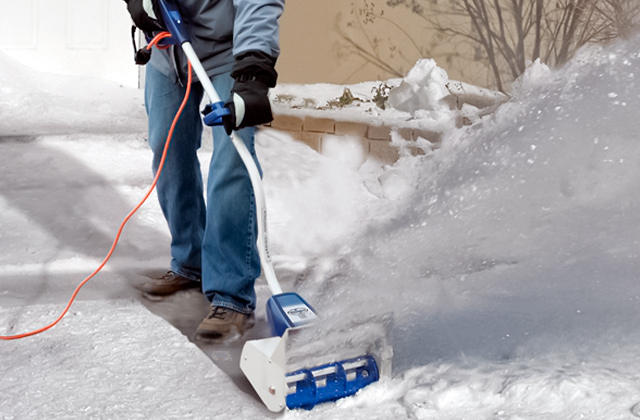 We hope it's rather clear that this backpack blower is a perfect pick for daily clearing. 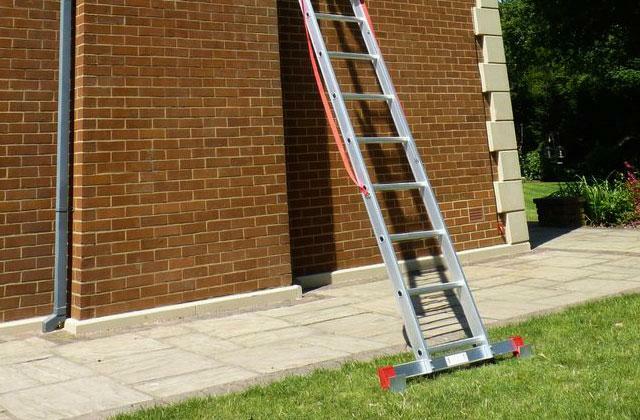 It will be able to clean your lawn very quicky and efficiently. And the price is rather affordable! We strongly recommend you to get a pair of Husqvarna Professional Headband hearing protectors. Your eyes require protection too, so have a look at these shooting safety glasses. 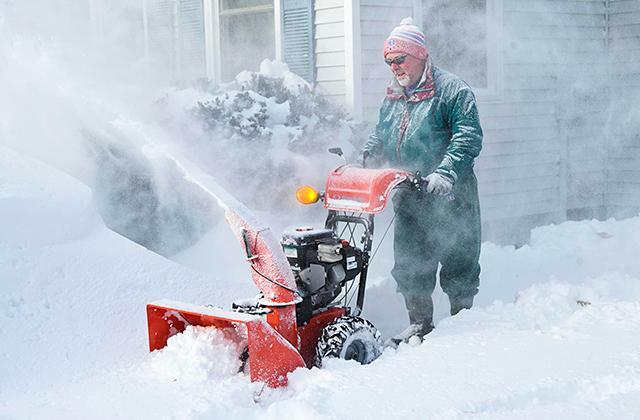 What About Blowing Snow Away? This is a gas-powered Troy-Bilt backpack blower that has a 1.3 HP 4-stroke engine that provides the air flow of 500 CFM at 150 MPH. 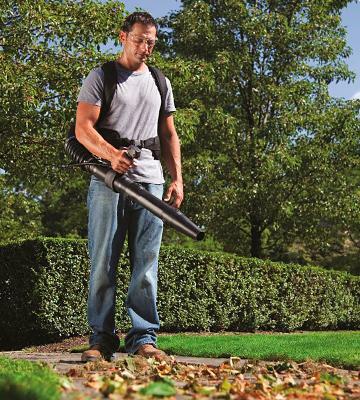 In our opinion, it is one of the most ergonomic yet powerful leaf blowers, designed for a buyer who wants to save money. The noise level might be a disadvantage, though. So, we strongly recommend you to purchase a set of hearing protectors. 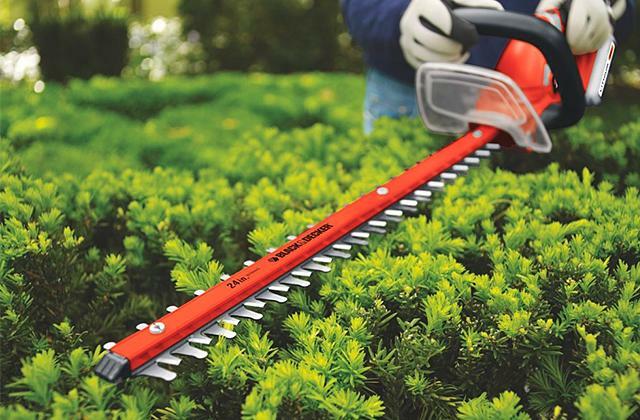 The tool can easily move leaves, grass clippings, dust, and even small stones. 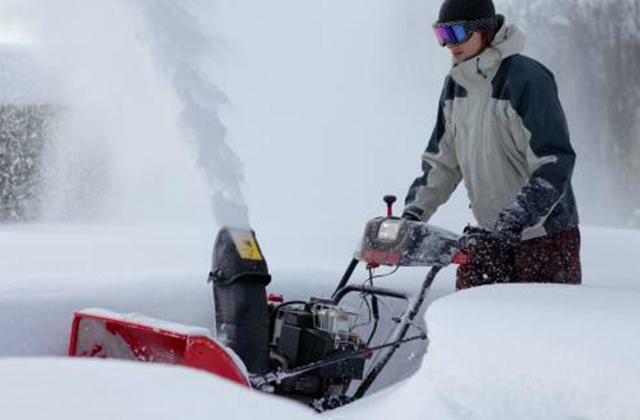 Also, the Troy-Bilt leaf blower can remove a 1-inch layer of snow but you should keep in mind that the fuel consumption increases if the temperature falls below 32°F. We would like to draw your attention to additional benefits this model offers. Firstly, it's the JumpStart™ function which provides an extremely simple and fast ignition of the engine. The starter charge takes approximately 6 hours, then you can use it about 60 times. After using this electronic starter, you are likely to start advertising this backpack blower to your friends and neighbors! One more benefit is soft padded straps for your shoulders and belt. The weight of the leaf blower is really small - just 15 lbs. Thus, it's easy to use the tool for long and you won't feel exhausted. Keep your hands clean with a Glove-Blue Latex Palm. We recommend you to purchase safety glasses which will perfectly protect your eyes from dust and small debris as well as from the UV rays. Protect your ears with lightweight сomfortable ear protectors. The manufacturer designed the Poulan Pro PR48BT with a gas-powered engine. A brief look at the blower specifications leaves you no doubt about its capabilities in terms of power. Indeed, featuring a two-cycle gas engine with the 48 cc cylinder displacement, the Poulan Pro PR48BT backpack blower can deliver an impressive airflow of up to 475 cfm. With that, the speed of air coming out of the PR48BT tailpipe can reach a stunning 200 mph point. Truly a whirlwind at your command! 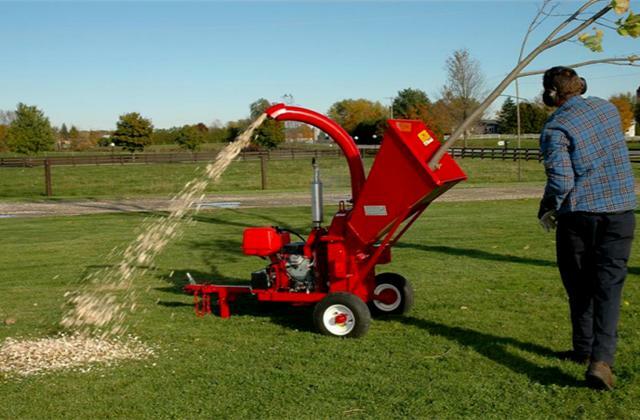 It is no wonder that this device is capable of not only blowing dry leaves away from your lawn or a land plot but also of easily handling such tough blowing tasks as clearing heavy and wet leaves, grass, and other types of residue. The PR48BT comes in a heavy-duty frame, which adds to the robustness of this gas-powered blower. With all its rigidity and power, the manufacturer managed to keep the Poulan Pro model on a lightweight side, which definitely makes it easier to use. Though the device light weight is truly a weighty argument in itself for the model convenience it is far not the only one. When you take a closer look at the PR48BT you will see that it is actually packed with convenience features. Starting from the cruise control and speed trigger implemented for an easy device command to soft-grip handle on the tailpipe – the whole blower structure was designed with user comfort and convenience from the ground up. All the elements and modules of this unit by Poulan are balanced for an easier carrying: the bundled padded load-reducing harness and contoured, adjustable shoulder straps make the blower fit your shoulders and back much better and feel comfier in your hands. 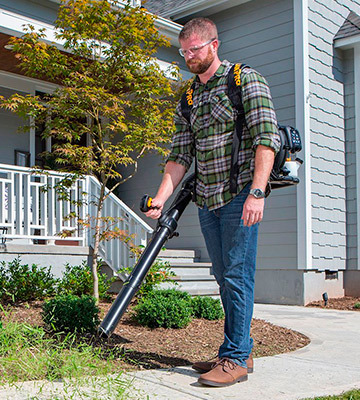 The brilliant ergonomics of this leaf blower model provides a minimal strain during the operation and allows for reducing the fatigue for all users regardless of their height and bodily constitution. It is fair to say that the PR48BT model combines the comfort of operation with technical prowess and versatility, which enables its use for year-round cleaning of yards and lawns of 1/2-acre and larger area. The fall is a nice season, isn't it? The air isn't sweltering hot anymore, there is a carpet of beautiful leaves under your feet. But this idyllic picture is not so attractive if you are the owner of a detached house and it's your duty to clean the area around it from all the leaves and debris. 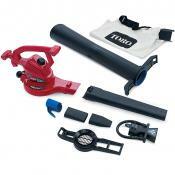 A backpack blower will be an indispensable tool which can do all this difficult job! 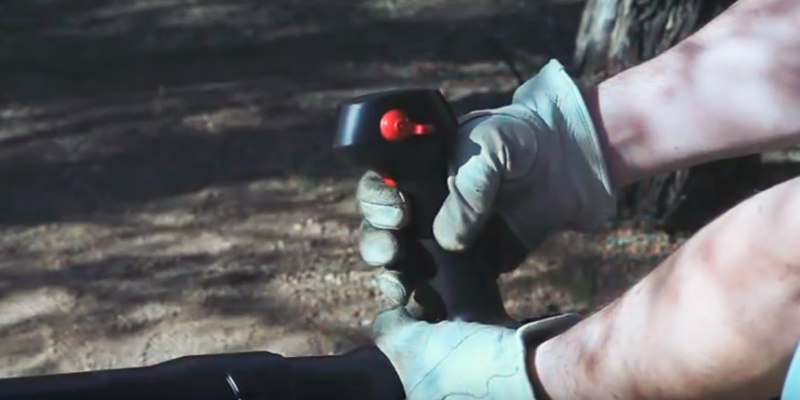 This gardening tool is designed to make cleaning much faster and easier. You won't need any additional equipment. 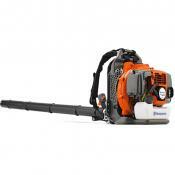 The blower will easily remove different kinds of debris such as leaves and grass cuttings. 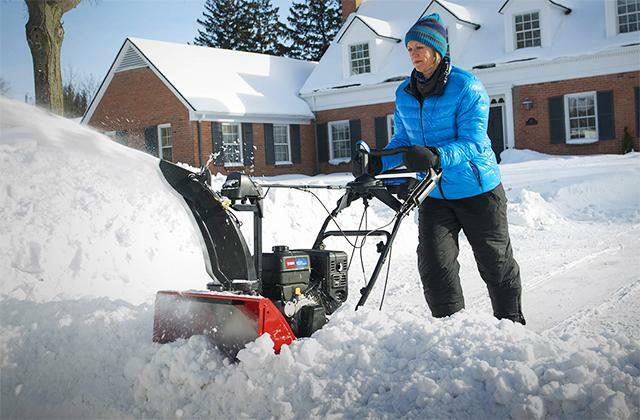 Some models of the blowers can even be used for removing snow in winter! 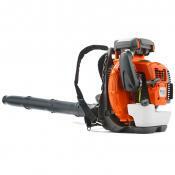 There are other models of blowers: handheld and wheeled tools but the most popular are backpack blowers. In our review, we are going to focus on this type of blowers and highlight the most important features to consider while picking the best backpack blower. 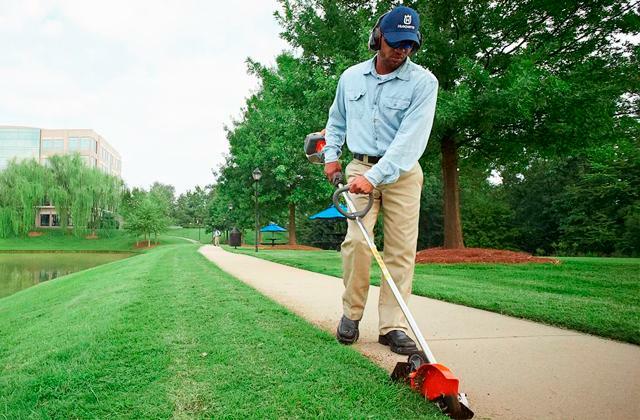 If you need to cope with lots of leaves on a large area, such as a park, for example, consider our review of gas leaf blowers. 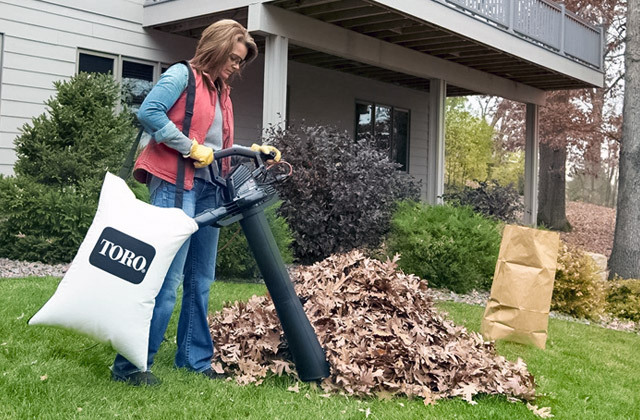 We'd also like to recommend taking a look at leaf vacuums that have a special bag for storing leaves. 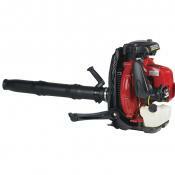 Backpack blowers can be divided into 2 types: electric and gas-powered leaf blowers. Electric blowers are either corded (powered from the mains) or cordless (battery-powered). In general, electric backpack blowers are less powerful than gas-powered ones; moreover, a corded electric blower can't be used without an extension cable, which imposes certain limitations on their usage. However, electric backpack blowers have a major advantage - they are eco-friendly and operate without much noise. 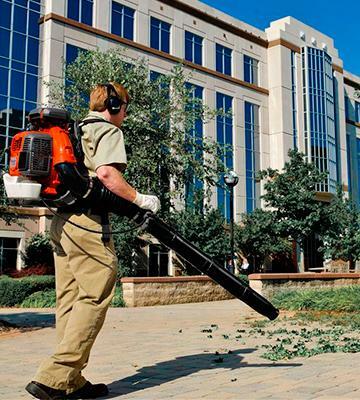 In their turn, gas leaf blower models are more powerful, more efficient, and very mobile. You can clear the area non-stop, having breaks only for refuelling. The only disadvantage is the noise but a set of hearing protectors can be a solution. Wherever you live, never use your leaf blower too early and too late in order not to disturb your neighbors. 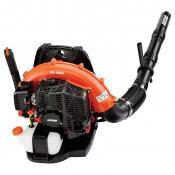 The performance of a backpack blower depends on its engine power. While talking about gas-powered models, it is necessary to keep in mind that one important criterion of their efficiency is a number of working cycles (strokes) of the engine. In conventional gardening tools, there can be 2-stroke and 4-stroke engines. The first ones are good due to their small size and weight, as they don't have a complicated valve system. The blowers of the second type produce less noise and don't require mixing gas with oil. 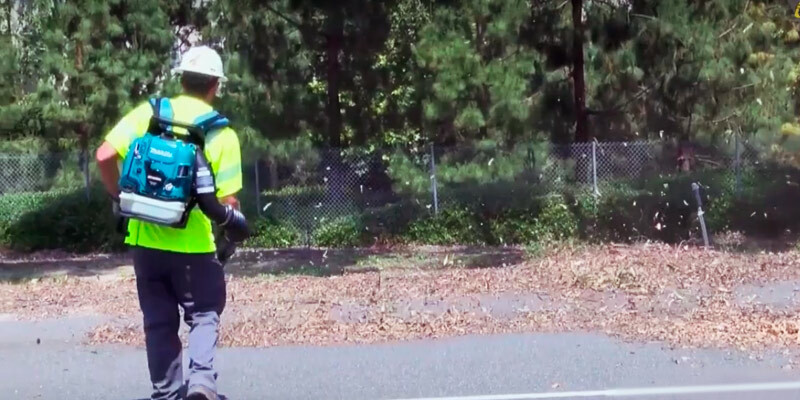 As usual, electric backpack blowers are powerful enough as the efficiency of electric motors is higher than that of gas-powered engines. However, there are some other important features that you need to consider. For example, find out the maximum air speed (MPH) and the air flow per minute (CFM). The higher these figures are, the more efficient the cleaning will be. Corded electric models have, actually, unlimited operating time but their main disadvantage is a limited range. You will agree that using an extension cord is inconvenient, particularly if you have a really big yard or garden. So, such electric backpack blowers are useful for small yards. 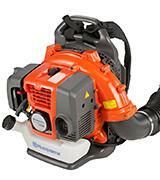 As for cordless tools, gas-powered blowers provide a better operation than battery-powered electric units. That's because the battery needs to be recharged and it takes some time while a gas-powered model needs only to be refuelled and it is ready to use again within seconds. Thus, before purchasing a backpack blower, you need to consider how much time clearing up your yard might take and after that decide what type of blower would be most convenient exactly for your needs. Dimensions and weight are equally important. Corded electric models are the most lightweight. Compared to gas-powered models, their engines are fairly compact. Also, corded electric backpack blowers are lighter than battery-powered ones. Of course, gas-powered models are the biggest and heaviest; their engines consist of many metal moving parts, they have lots of other additional parts, such as gas tank, starter, tailpipe, etc. 1. 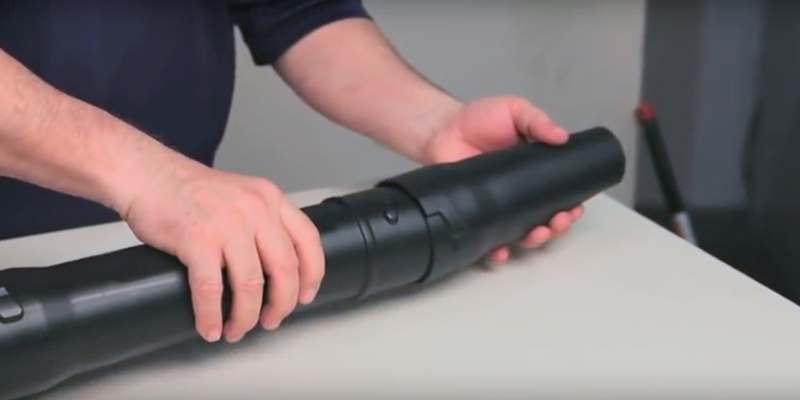 Leaf Blower Buying Guide, Consumer Reports. May 2016. 2. 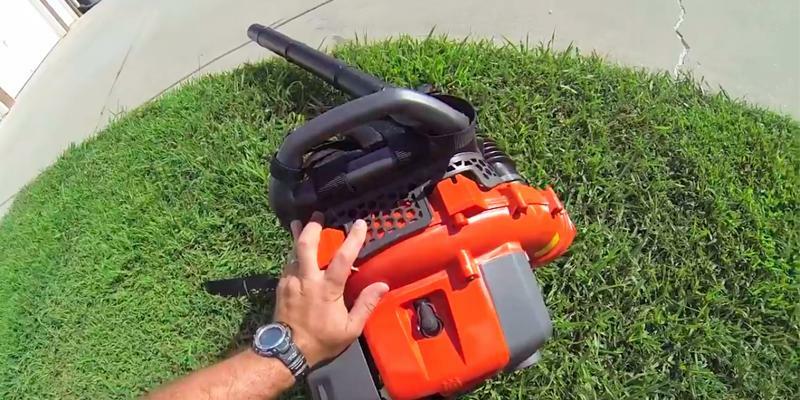 How to Choose and Use a Leaf Blower, This Old House. 3. How to Choose a Leaf Blower, The Nest. 4. Gwen Bruno How to Choose a Leaf Blower, SFGate. 5. 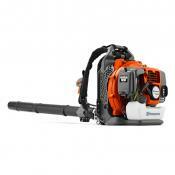 Choosing the Best Leaf Blower or Leaf Vacuum for Your Needs, HomeAdvisor. 6. 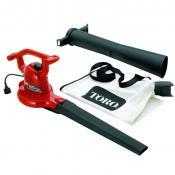 Steven Ericson What is the Best Blower for the Money, Quora. December 8, 2014. 7. 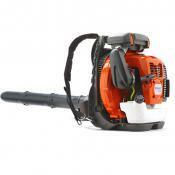 Roy Berendsohn 8 Best Leaf Blower Reviews, Popular Mechanics. March 2, 2015. 8. Doug Mahoney The Best Leaf Blower. The Sweethome. October 19, 2015.